Great idea. We purchased these for a company event and everyone loved them. Great accessory to have around. Love how I was able to customize the USB's with my companies logo on them. Thanks CEP. Really great product for my business. It helped me promote in a big way. Couldn't have done it without you guys. Thanks. These USB are super stylish and versatile, very impressed with my order. Awesome idea by Custom Earth Promos. This company is dedicated to the "go green" movement and delivering top service. Thank you CEP for the exceptional products. Such a convenient way to never misplace your USB drive. A stylish way to always have your USB drive on hand. Its hard to misplace such an important item when its on your wrist. Eco-friendly is the move to make. The tech drives were an easy sell to my superiors. Eye catching. I'm constantly asked about my wristband USB drive, and that's all it takes for me to promote my business. We personalized these and gave them to all our students. The USB drives were a necessary component within our curriculum, but adding a eco-friendly product was a huge bonus. 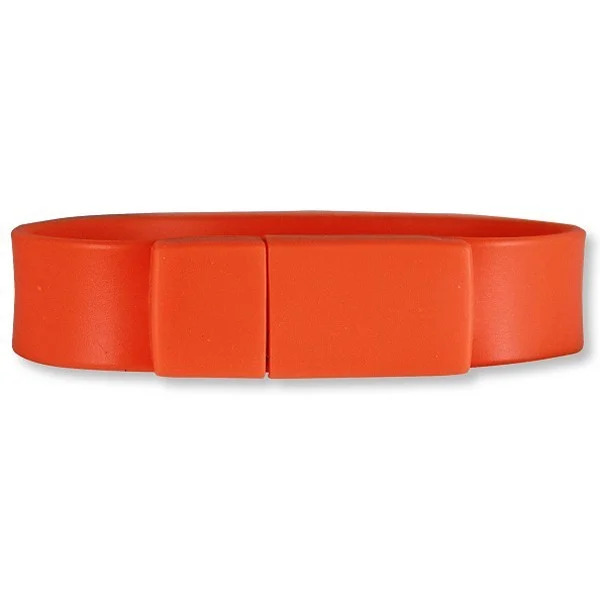 Everyone will be checking out your company wearing this wristband drive. I can assure you of that, I get asked about it on a daily basis. I love the concept of this item. You can't lose the most important information when you are wearing it on your wrist. Very extensive product line with Custom Earth Promos. They go above and beyond, and always ensure quality comes first. I was back and forth between several different ideas for our new marketing campaign. I decided on the USB wristband drives because they are unforgettable. Great product. At our events we literally placed these wristband drives on peoples wrists. It was a great way for us to initiate conversation and explain what we do. 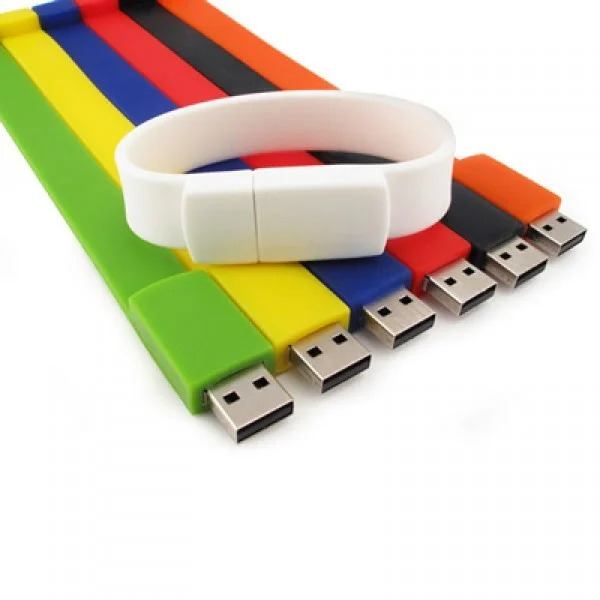 Stand out at your next trade show with our customized Printed Wristband USB Storage Drives! 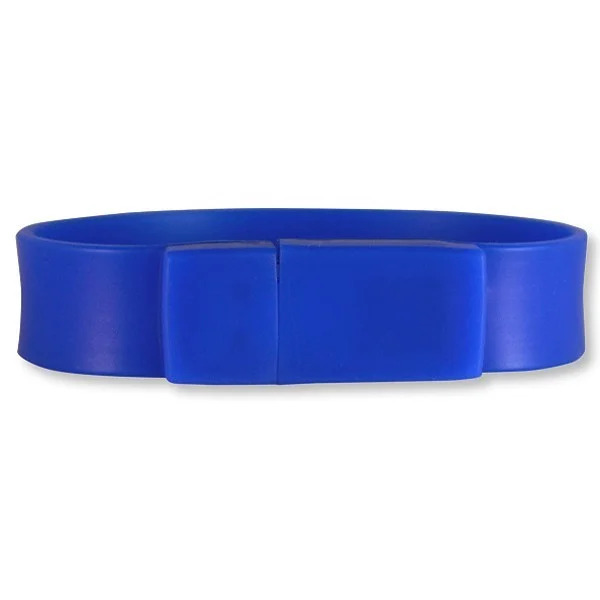 Each USB storage drive wristband is available in numerous colors and offers two different areas for imprinting the designing of your choice. Allow our product designed entirely by you, to impress your consumers with a comfortable and stylish accessory that efficiently carries vital digital data from one computer to the next. Don’t miss out on the chance to impress consumers with a revolutionary product that will continuously promote your business! 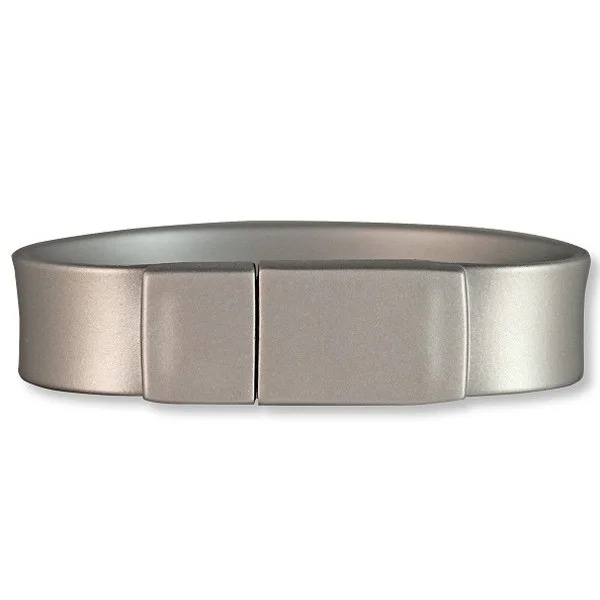 Let us provide you with a secure and stylish way to store data at the touch of your fingertips (or wrist). These unique storage drives have the impactful ability to take your company branding to the next level. 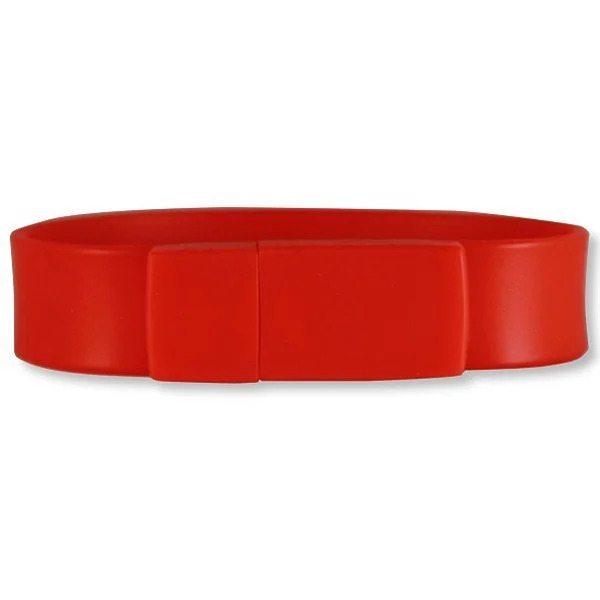 Not only will your wristband stand out in convenience and style, but it is produced entirely out of eco-friendly material - 100% Recycled Plastic. 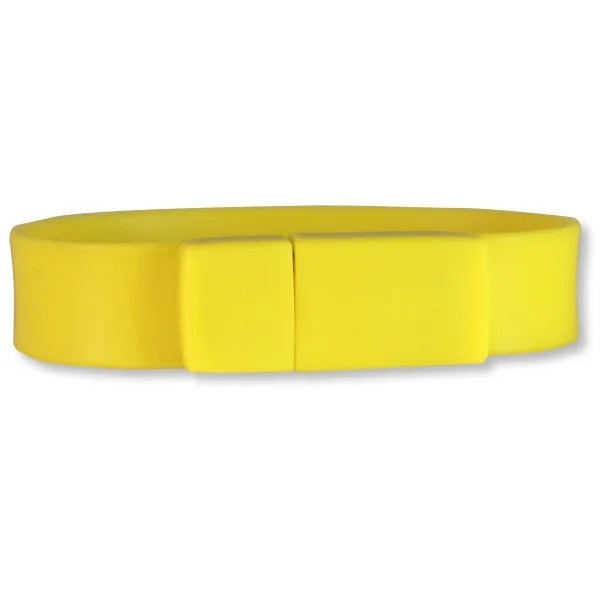 Each wristband is available in a wide range of data capacities as well as endless opportunities for design. We ensure that we can provide an excellent product that will keep your consumers talking! 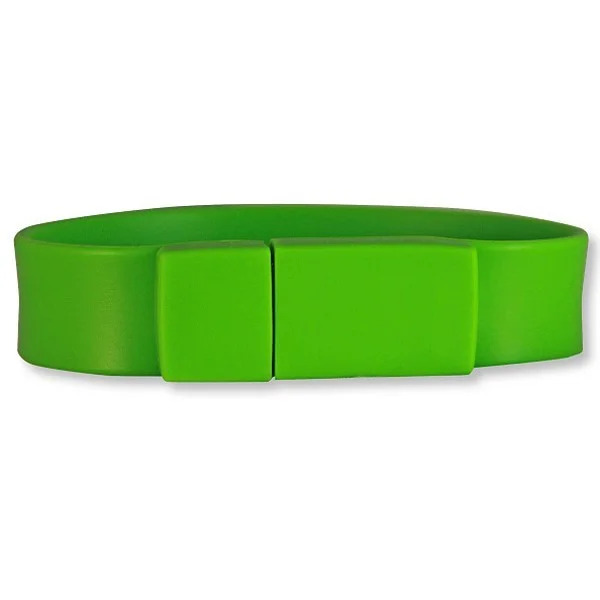 An eco-friendly, stylish wristband equipped with reliable data storage all while promoting the company or school of your choice, who wouldn’t immediately jump on board? 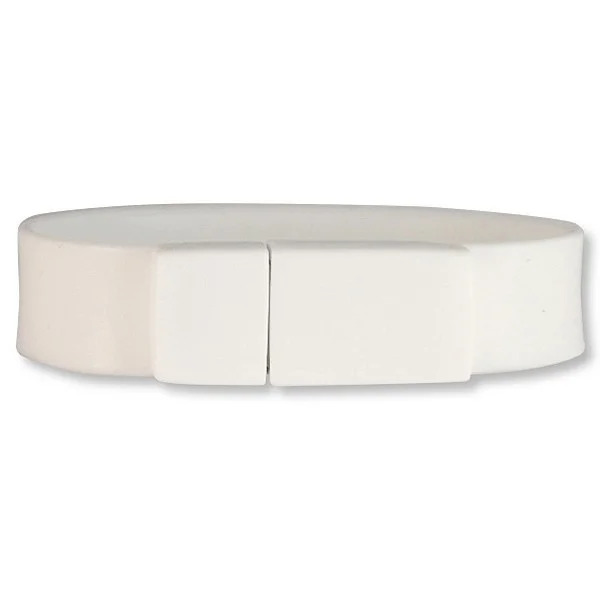 Each custom USB storage drive wristband is equipped with a Tier 1 chip that will ensure high-quality performance as well as wow your consumers with an exceptional marketing tactic. 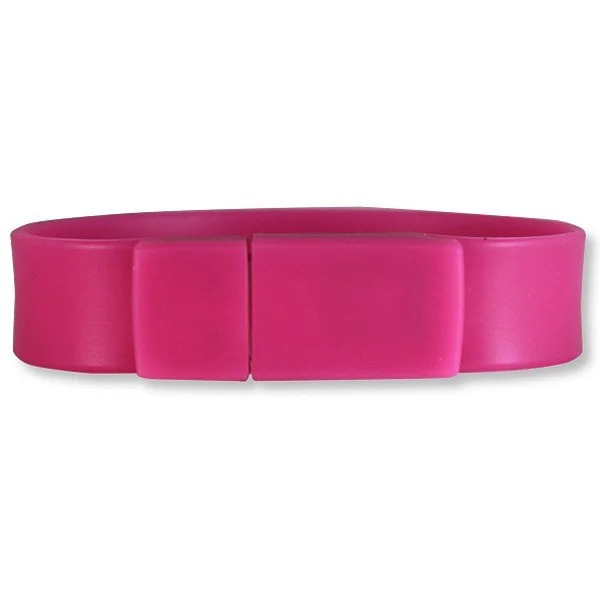 The wristbands offer two separate areas for printing the design of your choice. 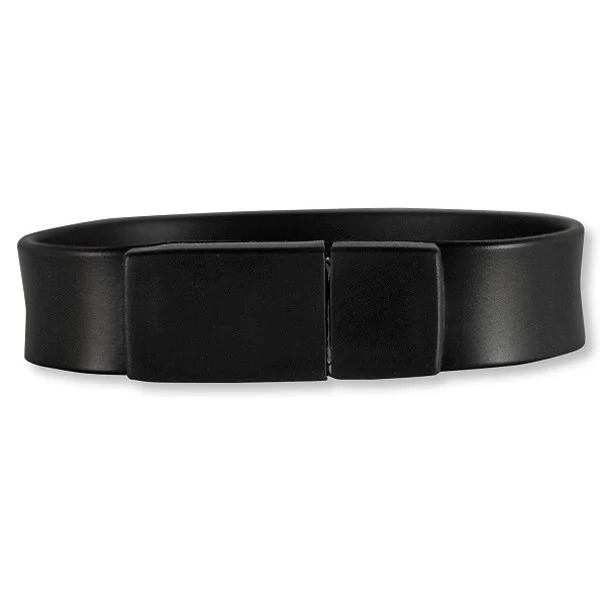 One being the band with 7.5” x .5” space and the other being the clasp at a .79” x .5” space. With that being said, the possibilities of production are endless! Please allow up to three weeks upon ordering for delivery to take place. Feel free to contact Custom Earth Promotions with any questions, comments or concerns.